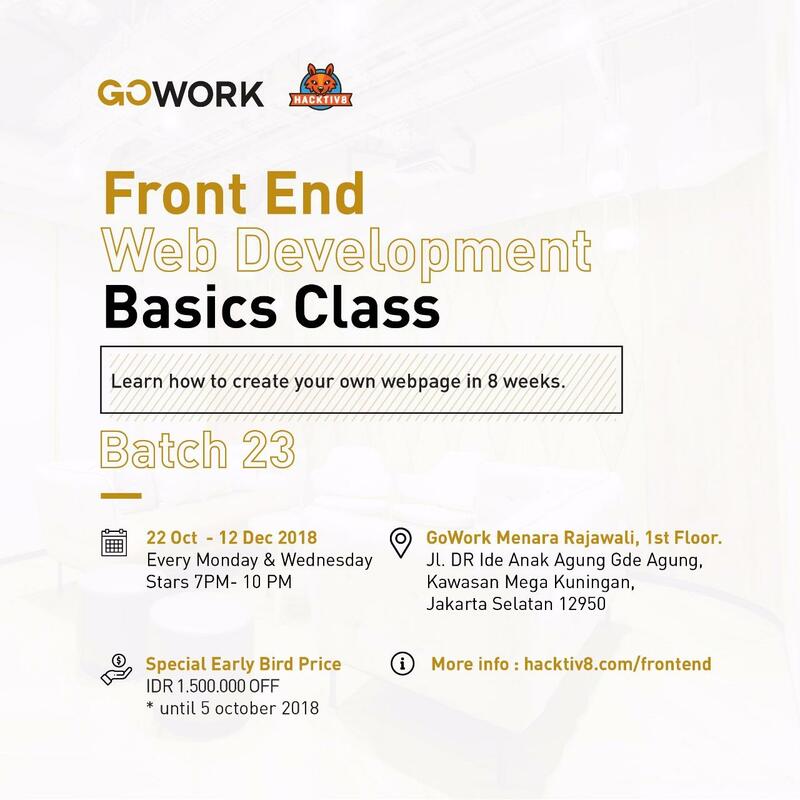 Don't miss out a chance to learn the art of front end web designing in our part time night class. By the end of this class, you will be able to make your own landing page from scratch. Now open in GoWork Menara Rajawali, Mega Kuningan!